The story of Tough Mitts, from Vancouver, is one that we’ve all heard (and seen) before, whether it be with New Order in the 80s or Arcade Fire with Reflektor. Yep, the “rockers falling in love with synthesizers” story. After playing in a multitude of bands, an urge to try something fresh and more challenging overcame Samuel Coll (singer/guitarist/keyboardist). And so, pairing up with the like-minded Liam McKeracher, he brought Tough Mitts to life. The sound of Tough Mitts, though synth-rock at its core, draws heavily from kraut-rock and industrial music. Each distinct element comes together to build a dark and heavy wall of sound that draws you in and refuses to let go till the very end. Complementing the duo’s gloomy atmospherics, are the lyrical themes of alienation and existentialism that strongly remind of Joy Division. Listening to each track on Sprays From the Gem Fountain, however, the quickest element to grab our attention is always the duo’s ambitious and epic songwriting. Swelling, anthemic choruses are regular occurrences on the record, and Samuel’s powerful and passionate vocals add further to the music’s grandiosity. 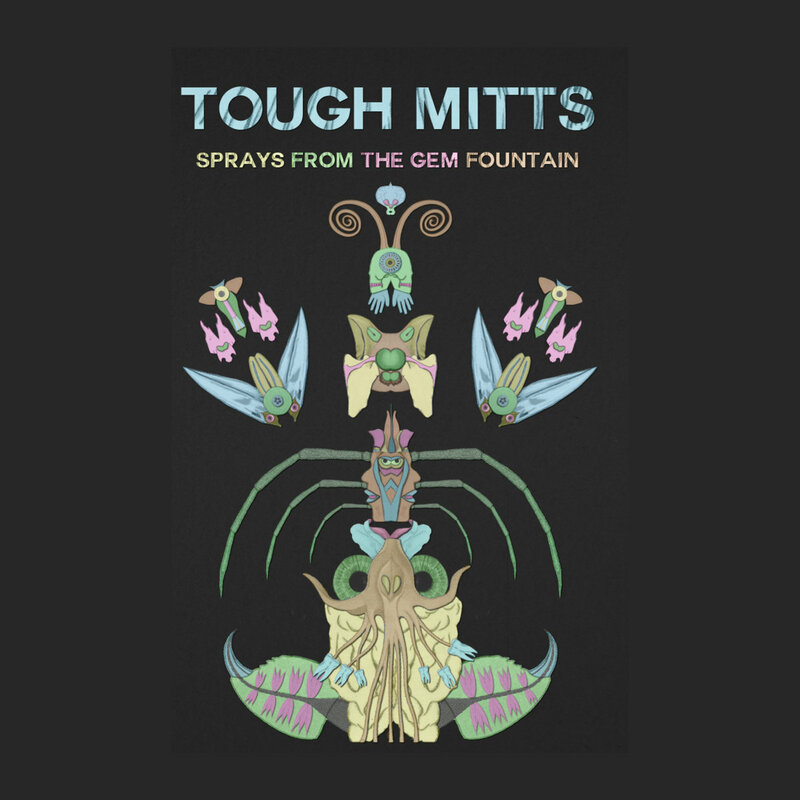 In all, Sprays From the Gem Fountain is a remarkably consistent effort and a considerable stepping stone for the Tough Mitts. All listeners, regardless of their genre-preferences, are sure to be impressed.